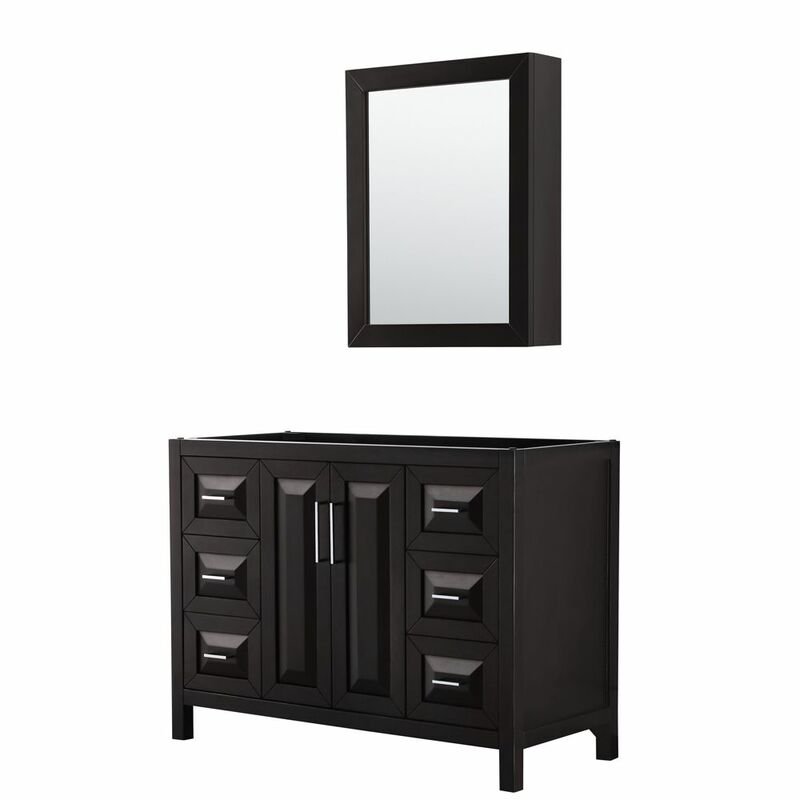 The Bradford 23-inch vanity is constructed of solid birch in a rich black finish. It features a rectangular white ceramic sink that is extra deep. The wood is finished in the semi close method to ensure waterproofing. The unit is pre-drilled with one hole for a one slot faucet, which is sold separately. Mirror is also sold separately. Some assembly is required. Sophistication is priority with this fresh 30 glossy white Bosconi vanity. The under mounted ceramic sink and perfectly matching mirror accentuate the modernistic approach to the design. The center cabinet features soft closing doors and is spacious enough to store towels, toiletries and bathroom accessories. Sophistication is priority with this sleek 42 espresso Bosconi vanity set. The ceramic, square Vessel and vertically mounted mirror accentuate the modernistic approach to the design. Features include one center cabinet with soft closing doors and one detached side cabinet with three drawers. All spacious enough to house your essential bathroom supplies. Daria 48 inch Single Vanity in Dark Espresso, No Top, No Sink, Medicine Cabinet The beautiful Daria collection vanities stand out in any bathroom with strong, clean lines and elegant raised panels. There's plenty of cabinet space, the fully extending drawers are dovetail construction, and chrome detailing completes the look. Daria vanities deftly combine the function of today with a nod to the elegance of the past. It's the new modern classic styling with a contemporary twist.